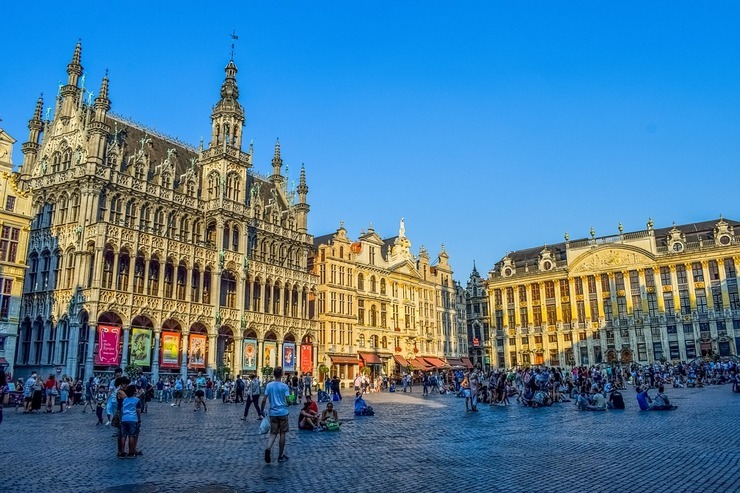 Brussels is considered as the unofficial capital of the European Union and at the same time is Belgium's main and largest city. It has two residences of the three central institutions of the European Union: the European Commission and the Council of the European Union. There is also the political residence of NATO. 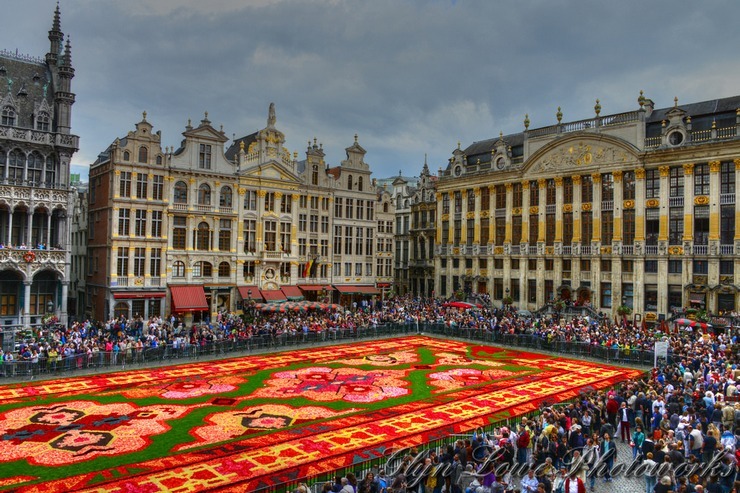 Although small, Brussels is one of the most beautiful cities in Europe. It will delight you with its beauty and diverse offer, numerous attractions such as squares, museums, parks, bars and restaurants. 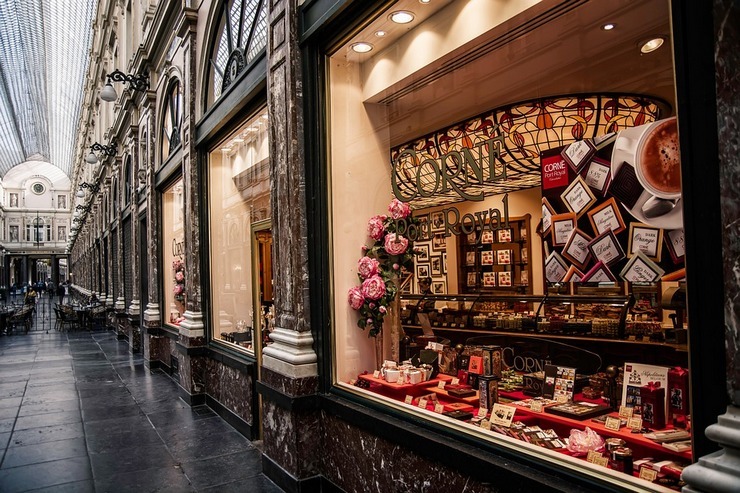 Something we all like, we can find there: Belgian chocolate - one of the most delicious chocolates in the whole world. Also famous "Belgian beer" can not be ignored while you are in Brussels. 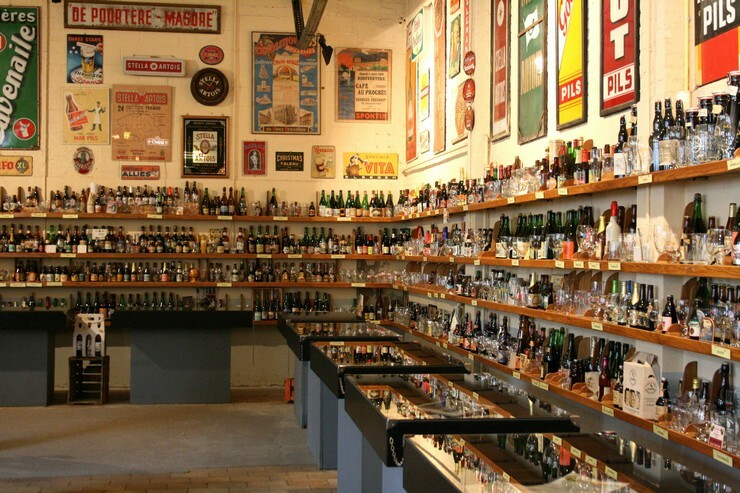 There are more than 450 types of beer there, and every beer is served in a particular glass that is specially made for this type of beer, because it improves the taste itself. Architectural and medieval style combined with modern buildings, churches and cathedrals create an unforgettable sight. Grand Markt - one of the most beautiful squares in Europe which is also on the UNESCO World Heritage List. The so-called "house of gilda" is dominated by the baroque style of the 17th century. There you can see the architecture since the Gothic period, the French style of Louis XIV. The royal house - one of the biggest attractions in this city because since 1971, every second year in August, it is covered with carpete, designed with flowers, which is a u unbelievable paradise for the eyes and an excellent tourist attraction. Maneken Pis - a small bronze statue that represents a boy who is urinating. It dates since 1388 and one of the legends linked to this statue is that one boy saved the city from the bomb when he urinated on the wick and then turned it off. 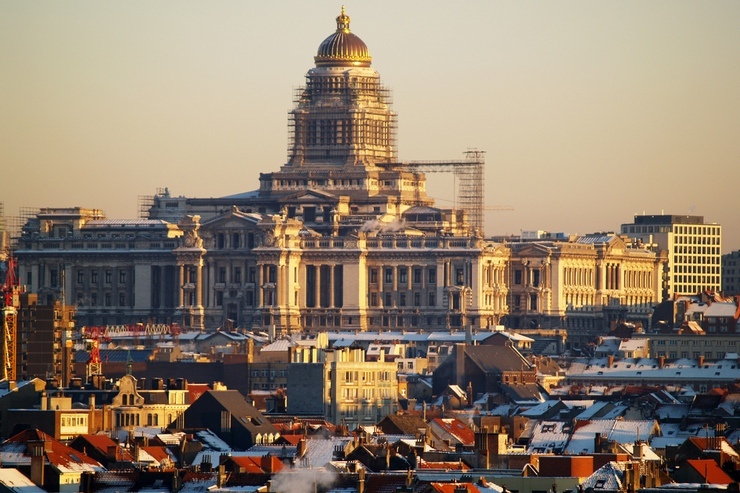 Justice Palace - the largest and most important court building in Belgium, dating from the 19th century. The palace was built on the top of a hill above Brussels, offering a fantastic view of the city. 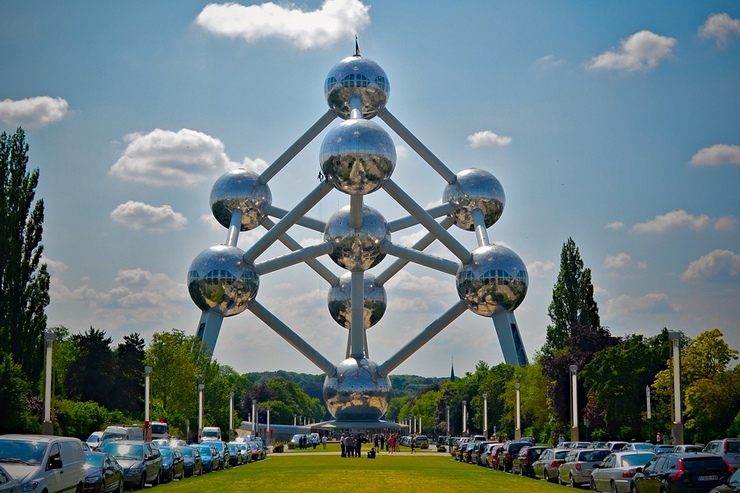 Atomium - a structure of steel and aluminum representing an iron molecule that has been enlarged 165 million times and was built in 1958. You can also visit its inn where the elevator drives to the highest sphere where is located the restaurant. 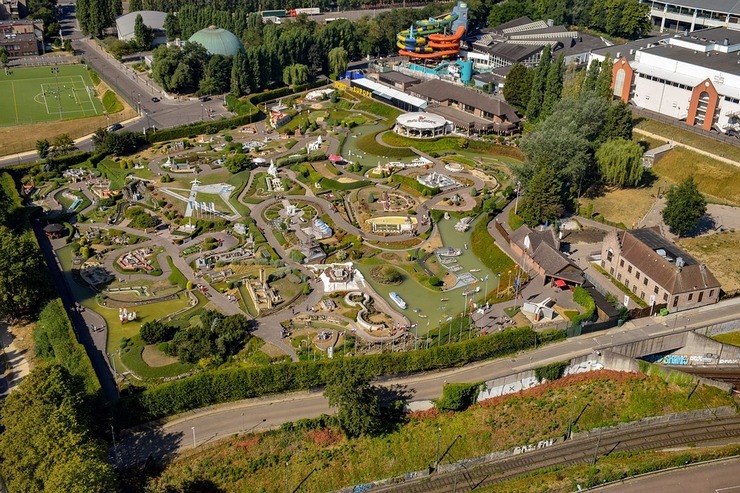 Park "Mini Europe" - models of well-known European buildings, which are 25 times less than their natural size. More than 350 European sights are located in the park. Some of the models are also moveable. The most famous are: the Eiffel Tower, the Creeping Toranj, the Vesuvius volcano and many other important buildings and sculptures.